balloons are a great way to call attention to your business event. 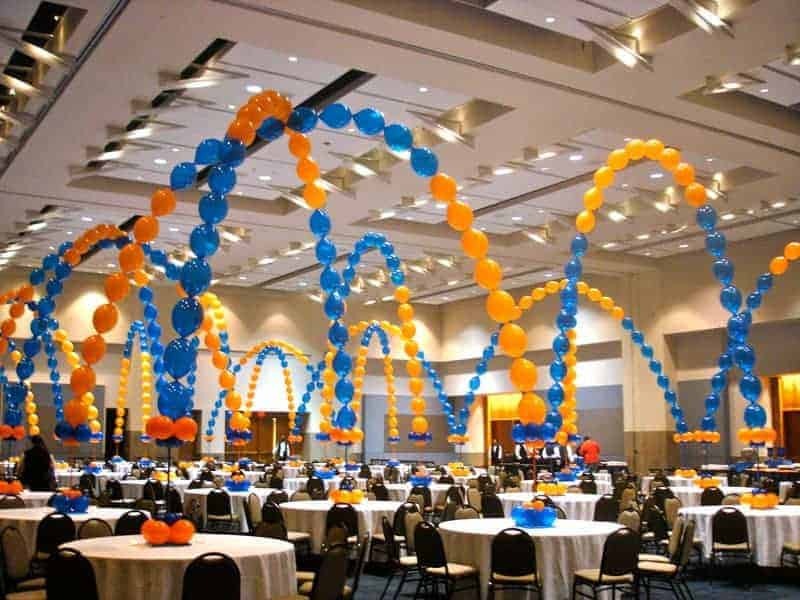 Indoors or outdoors, balloon decorations add to the ambiance of any business event. 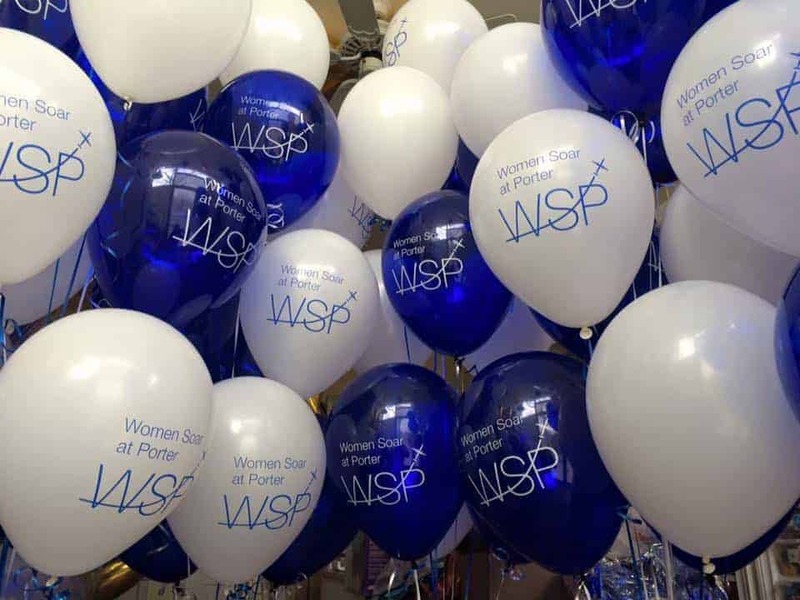 With our premium balloons and superior quality print, we can help attract customers to your business. 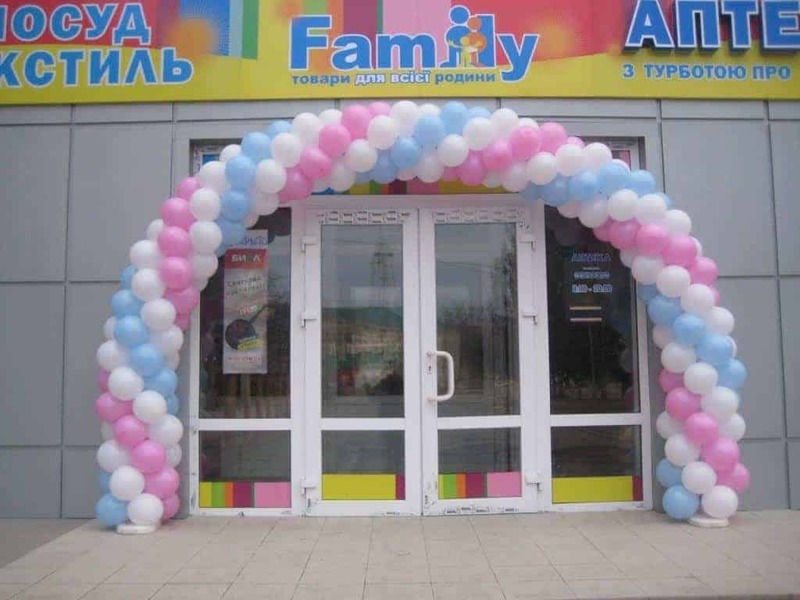 Balloon arches, clusters, bouquets, all with your perfectly printed logo, and put together to impress your prospective customers! CSA Balloons is Montreal’s fast and reliable partner for custom balloon decorations. Our staff is ready to walk you through the process of creating a breathtaking and cost-effective decor for your next business event. Contact CSA Balloons today. Your Event is Not in Montreal? Our balloon decoration services may be available near you! Why Call CSA Balloons for Balloon Decorating in Montreal? Send us your logo and details about your event. All you have to do is show up at your beautifully decorated venue! 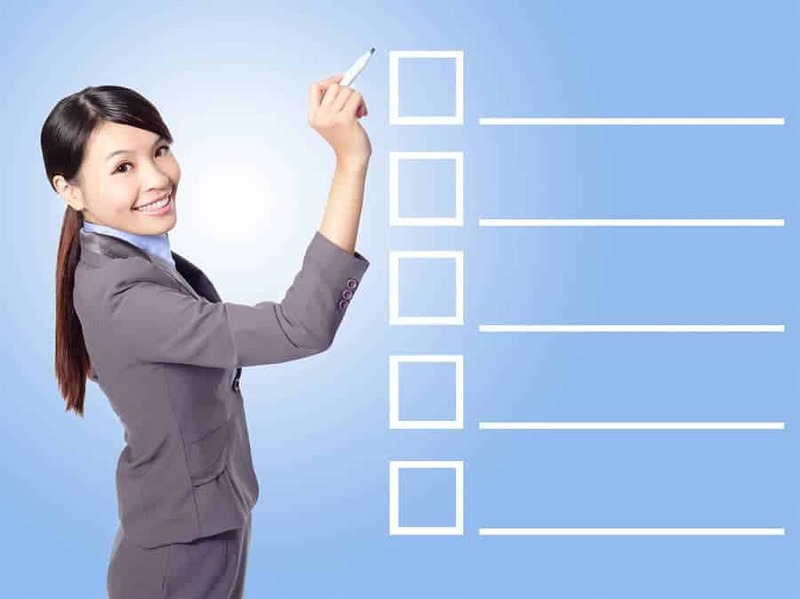 Planning a business event can be time consuming and expensive. At CSA Balloons, we strive to offer the highest quality products and the best customer service. Our dedicated staff will help you create a personalized balloon decor that will fit your event. We have a wide selection of colors and finishes. With CSA Balloons, you will get what you want, fast! Whether your event is located on the island, in Mirabel, Terrebonne, Longueil, Chambly or Vaudreuil-Dorion—we will be there, on site, installing your balloons and making sure every detail is perfect! Call us at 1-888-950-7878; our biodegradable, superior quality balloons will help make your event unforgettable. The String of Pearls: Single balloons tied together looking like—you guessed it, a string of pearls. 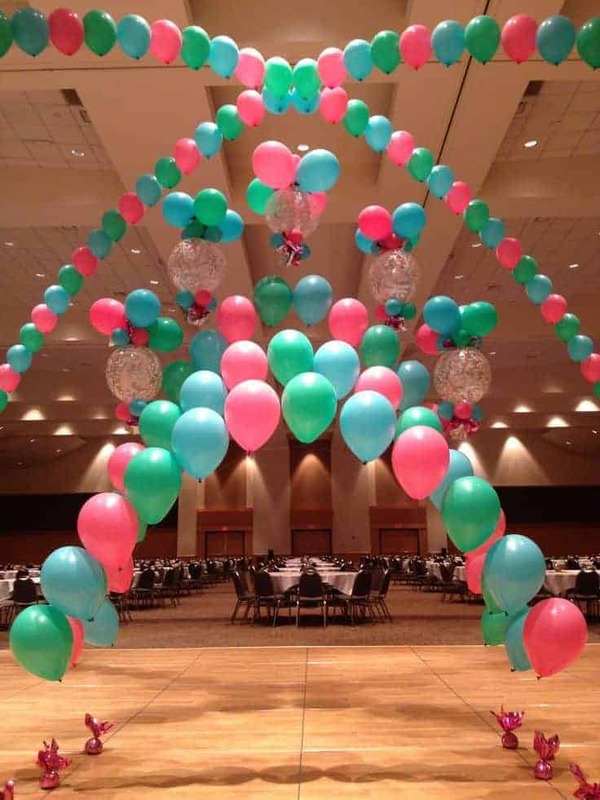 We also create string of pearls arches with balloon sculpture on either side. 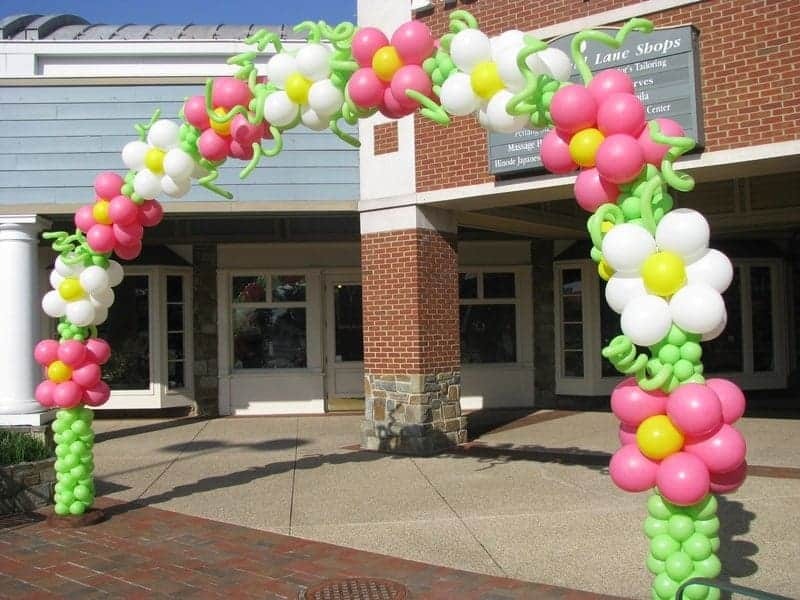 The Flower: In this type of balloon arch, balloons are placed in a flower-like pattern. The Link: In this one, link balloons are tied together to create a chain effect. The Swirl: Perhaps our most popular, the swirl is made with up to 4 colors of balloons placed together in a swirl pattern. 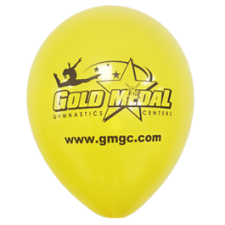 Once you’ve chosen the type of balloon decoration that best suits your business, customize it! 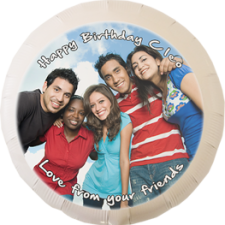 At CSA Balloons, we can print custom balloons with your logo or message on them. Our advanced printing technology allows us to print the largest imprint on balloons in the industry. 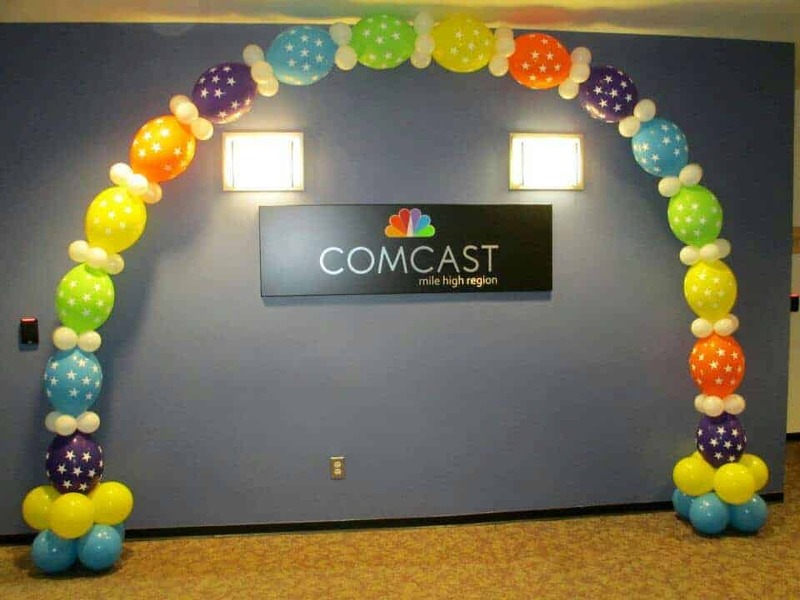 We can then integrate your custom balloons right into your CBA designed decorations. This will create a truly unique look and impress investors and prospective clients. 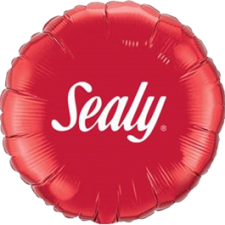 Logos, slogans, taglines, graphics – all clear, crisp, and highly visible on our vibrant balloons. Don’t know where to start? Call us now! One of our dedicated staff members will help you with your choice and coordinate all the details for you! 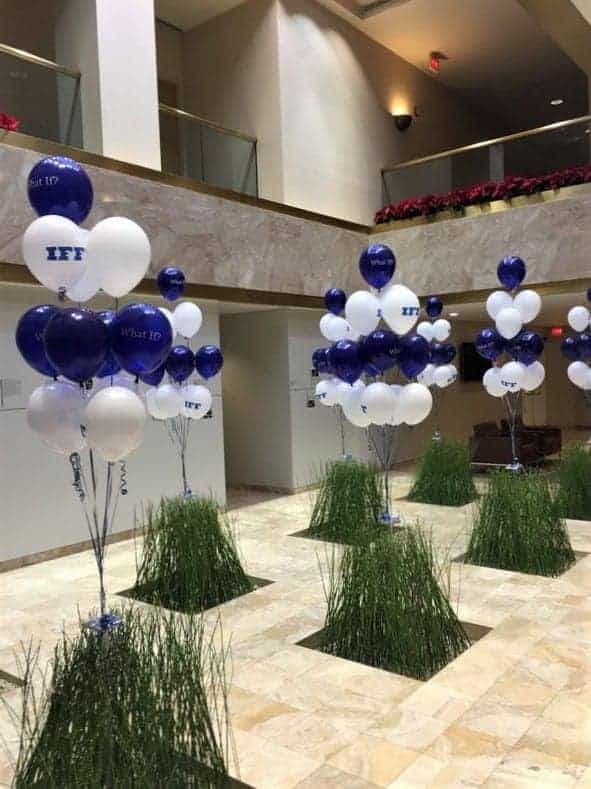 Nothing gets more attention than custom balloon decorations. Our balloon columns add drama, color, style and energy to any kind of event—big or small! Plus, our natural, 100% biodegradable premium balloons are eco-friendly too! Whether you are launching a new product, organizing an in-store promotion, or looking to increase booth traffic at trade shows, CSA Balloons offers you endless cost-effective, eye-catching solutions! 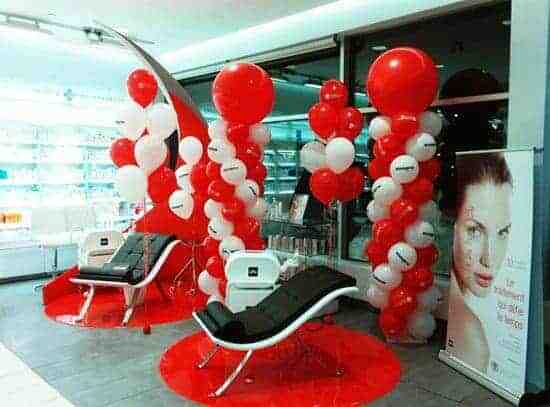 We have helped hundreds of businesses promote their brand through our custom balloon columns. 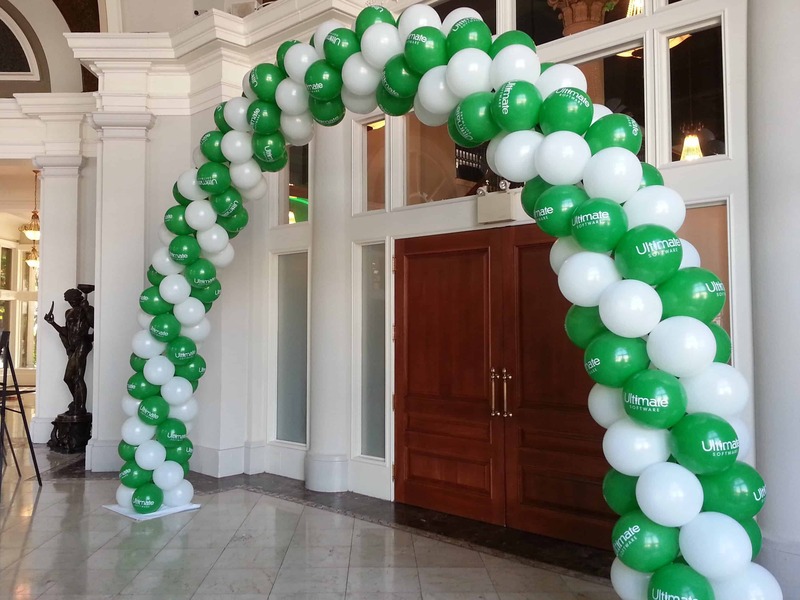 Underline your business milestones and events with flawless custom balloon columns. Call us today at 1-888-950-7878 to find out how we will set up your custom balloon columns for you quickly and effectively. 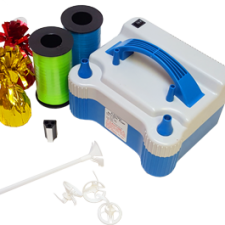 CSA Balloons is the leading custom balloon printer in North-America. We offer the best custom balloons in the industry at a competitive price. Our extensive channels throughout North-America allow us to deliver and set up your balloons quickly. Call today and get a quote for your next event in La Métropole. We will print the custom balloons, design a decor plan, and set the whole thing up for you in the Montreal metropolitan area and throughout Canada. Hosting a multi-location event? No problem. Inquire about our multiple location deliveries and set-up services. Don’t waste time and money. Order your balloon decorations from the leading balloons provider in the country! Order your Balloon Decorations Today!